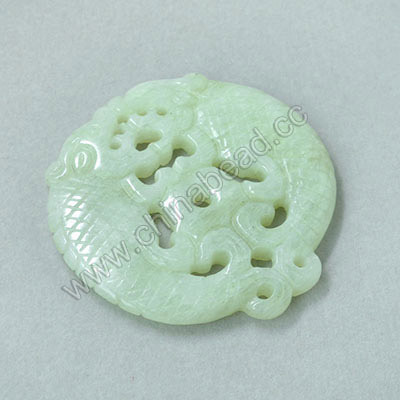 Carved Hsiu Jade Pendants--Our jade pendants and beads are hand carved from a natural gemstone called Hsiu jade. It is a kind of jade that has very long history in China. The carving on the jade pendant usually carries some symbolic meanings like Peace, Kindness, Eternity, Nobility and Elegance or tells a mystery and charming legend in China. 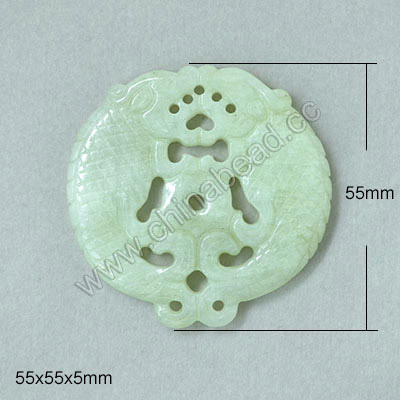 Each of our jade pendant or bead is very unique in design and quality. NOTE: Our Min. order is for each color each size. China beads accept OEM/special orders. Contact us now!